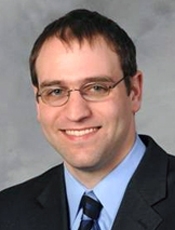 Dr. Brenner is an Associate Professor of Emergency Medicine and the Medical Director of the Community Campus Emergency Department at SUNY-Upstate Medical University. He received his BA in Bioethics and MD from The George Washington University. He teaches as a Small Group instructor in the Clinical Bioethics course. His bioethics and humanities research interests include, but are not limited to, ethical issues in emergency medicine such as EMS medical control, EMTALA (Emergency Medical Treatment and Labor Act), the difficult patient, discharging against medical advice, psychiatric commitment laws, impaired driver reporting, bioethics in film, preventing gun violence, and providing interpreter services. Ethical dilemmas can create moral distress in even the most experienced emergency physicians (EPs). Following reasonable and justified approaches can help alleviate such distress. This presentation will help guide EPs providing Emergency Medical Services (EMS) direction to navigate through common ethical issues confronted in the prehospital delivery of care, including protecting privacy and confidentiality, decision-making capacity and refusal of treatment, withholding of treatment, and termination of resuscitation (TOR). This requires a strong foundation in the principles and theories underlying sound ethical decisions that EPs and prehospital providers make every day in good faith, but will now also make with more awareness and conscientiousness.